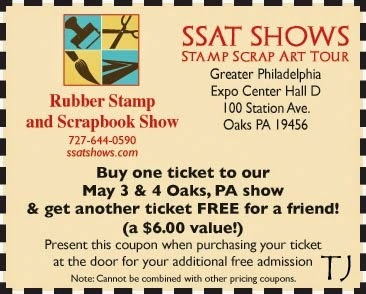 Come see us in Oaks PA -- be our BOGO guest! Welcome to the Bodacious Background Stamps CD hop! Today we are celebrating the arrival of the Bodacious Background Stamps CD with a blog hop! If this is your first stop, take a moment to go to the Technique Junkies Design Team Blog to start at the beginning with Judy Jackson. It is a relatively short hop, and you will be happy you did! If you came here from Nancy Dawson's blog, you are in the right place! The Bodacious Background Stamps CD contains 30 tutorials and is only $9.95, and is available for purchase off my blog, from the www.techniquejunkies.com website home page, or from the Bodacious Background CD page. If you would like to see a listing of the techniques on the CD, with pictures, you can find it HERE. It has been forever and a day since I have been able to post, and I am going to start with a heartfelt apology. I have some excellent reasons, but I will not subject you to them. Just suffice it to say that my life has had some major upheavals and today was the first day in a very long time where I have felt that I could manage the details of running the business and running my life all together. Now, lets do some happy things! The card above uses the Pearly Outlines Technique. This is a really shimmery, glittery technique and it is easy, too! It is one of the new techniques on the CD. 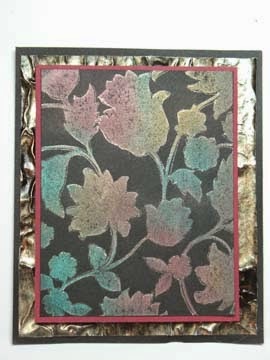 The stamp used on the card is called Floral Silhouette from the Technique Junkies line of stamps. It is $9.95 and can be ordered here: http://www.stampcamp.com/bigstamps23.html . It is one of the 600 big stamps I have available - many of which I will be highlighting for you in the coming weeks! Tomorrow we have a treat for you -- we are hopping to celebrate the CD! 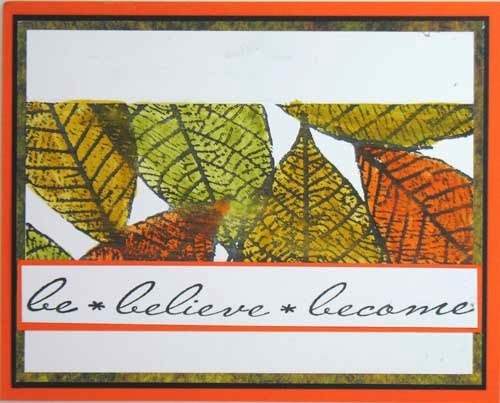 Please join us as the TJ design team shows off their beautiful creations using the techniques from the Bodacious Background Stamp CD. Your eyes will be entertained from beginning to end!! Finally, I promise to be more in touch. If you have emailed me in the last two weeks, please be patient -- I promise you will hear from me before Friday morning.